Yep. Those Are my Fans. 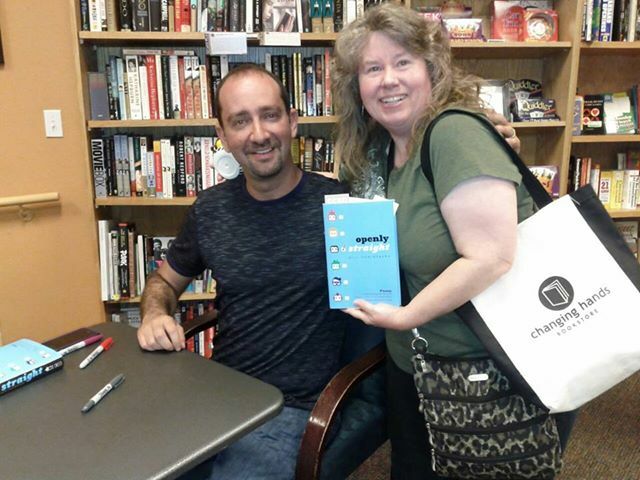 So the launch for Openly Straight happened at Changing Hands Bookstore in Tempe last night. When I looked out at the audience at the start, I knew I had to take the above photo. 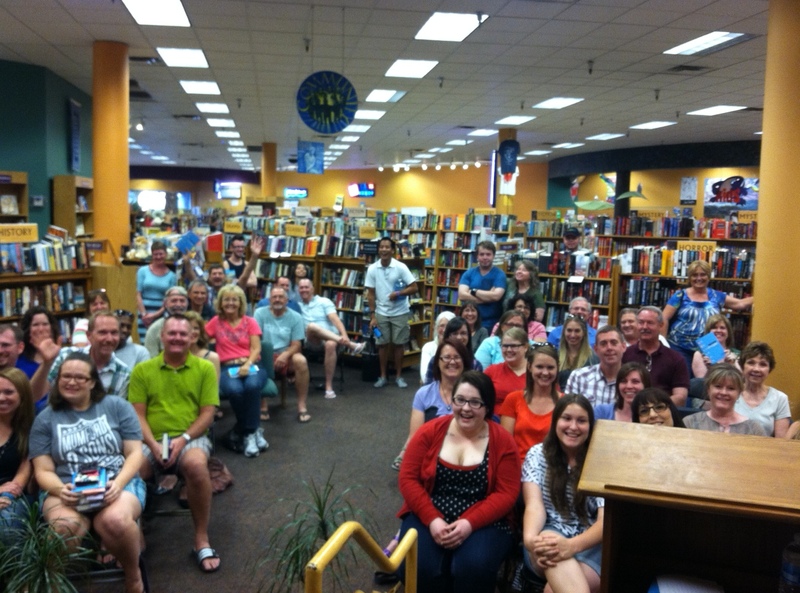 What a terrific crowd, at really the best of the best of independent bookstores. It was magical. For me, anyway. Hopefully the people who came felt some of that, too! I love my friends and fans so much. They came out to support me, the book, the store, and we just had a lot of fun and a lot of laughs. 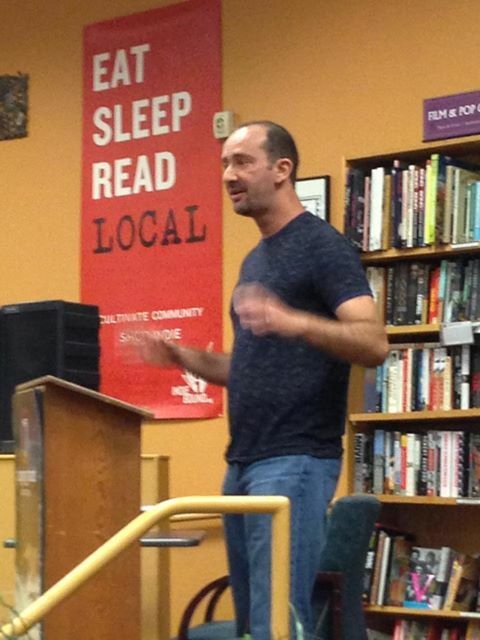 Something happens to me when I present at a bookstore or a school. I just feel … in my element? Maybe it’s just because I love what I do so much, but it feels like a good connection is made. When someone comes to me at a signing and tells me that my book touched them, or that they read it in one sitting and they totally fell in love with Ben, or that they could read the apple orchard scene over and over, our souls connect. Because in that moment, we understand each other. That feeling is powerful as a reader (don’t even get me started on Armistead Maupin), and it is just as powerful as a writer. It reminds me why I write. To connect to others at a deep level, to express my truth and share it with the world. So if you’re wondering why I look so at peace in these photos, it’s because I feel connected to my fans and friends. So thank you to those who showed up last night. And thank you to those who were there in spirit. You sustain me. You understand me. I love you. 1 Response to Yep. Those Are my Fans.